Guest Post: Michelle on her Summer Style. Hey you all it's Ada and yes I am still alive and if you follow me on Instagram you know I have been a very busy bee. I have a few more busy days ahead this week and I will be in more of a regular blogging schedule next week so bare with me. Thanks. Today I have another awesome Guest Blogger filling in while I enjoy the last of my part two Summer vacation. It is the the Beautiful Michelle from Michelle's Pa(i)ge. I have followed this girl's blog for about a year and a half now. Not only is Michelle very pretty, she has style for miles, adding even more gusto to the always-elegant and stylish New York. This girl has been rocking some fantastic outfits all Summer long (some of which you can see below). Also, on Mondays she co-hosts a very fun themed linkup titled "Start the Week Off Stylish". Thanks Michelle, I am so honored to have you, so take it away. 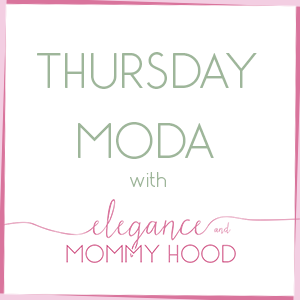 Hello Elegance & Mommyhood readers! 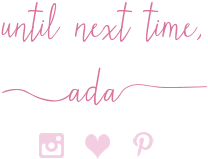 I'm Michelle Paige from the blog Michelle's Pa(i)ge and I am so excited to be guest hosting for Ada today. While stores seem to be moving ahead to fall clothing & trends, I am still very much in the summer mindset so today I thought I would share the 3 summer styles that I have been wearing most often this season. 1. Midi Dresses. I tend to gravitate towards breezy dresses every summer and this season has been no different. My favorite style this year has been midi dresses. I love the unique mid calf length of these dresses; not to mention they are the perfect mix of girly and fun and the longer skirts make them appropriate for so many occasions. 2. Off Shoulder Styles. One of the most popular trends this summer are the off shoulder & cold shoulder styles. I have been loving wearing tops & dresses that show off my neck and shoulders this summer. It's a great way to show off skin on hot days in an appropriate way. 3. Sneakers. As much as I love dressing up, I love being comfortable even more, so imagine my excitement when pairing sneakers with every outfit under the sun became a big trend. I love how easily a dressy piece can be styled in a more casual way just by adding a pair of sneakers. What summer styles have you been wearing on repeat? Be sure to stop by my blog, Michelle's Pa(i)ge for outfits, beauty inspiration & more outfits ;)!